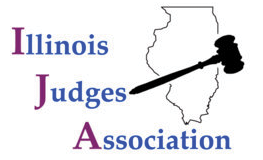 The Illinois Judges Association Wellness Committee supports a Judge’s needs in the areas of physical, emotional, and psychological well being. Our Committee is premised on the idea that judges need to have healthy outlets to relieve the unique stresses they face everyday. The Committee endeavors to be a resource for services and activities designed to address the pressures judges face. To those ends the Committee will look to make available, among other things, access to fitness programs like Yoga, information on self help programs like LAP and team building experiences like entering a team in Race Judicata. LAP is a non-profit organization founded over 30 years ago that offers completely confidential, cost-free services to judges, attorneys, and law students. We are entirely separate and independent of the Attorney Registration and Disciplinary Commission and the Judicial Inquiry Board. Our mission is to HELP, PROTECT, and EDUCATE the legal community about mental health, substance abuse, depression, grief, anxiety, divorce, career transition, everyday well-being expertise and much more. LAP is 100% confidential for both its clients and referents.